Microsoft’s upcoming mid-range smartphone, the Lumia 650, has been in the news a lot lately, along with a couple of possible siblings – the Lumia 750 and 850. And now thanks to an alleged leak originating at a smartphone distributor in the Czech Republic, we may know how much the Lumia 650 is going to cost, at least in Europe. The phone will apparently be priced at CZK 5,491 in the Czech Republic, SIM-free and unlocked of course. That currently translates into $222 or €203. Though given the exchange rate situation, if it ever launches in the US we expect it to be less than $199 unlocked. And in the Eurozone its price could be something like €199. The Lumia 650 will reportedly feature a 5-inch 720p touchscreen, Qualcomm’s Snapdragon 210 chipset, an 8 MP main camera, a front-facing speaker, LTE, and a 2,000 mAh battery. 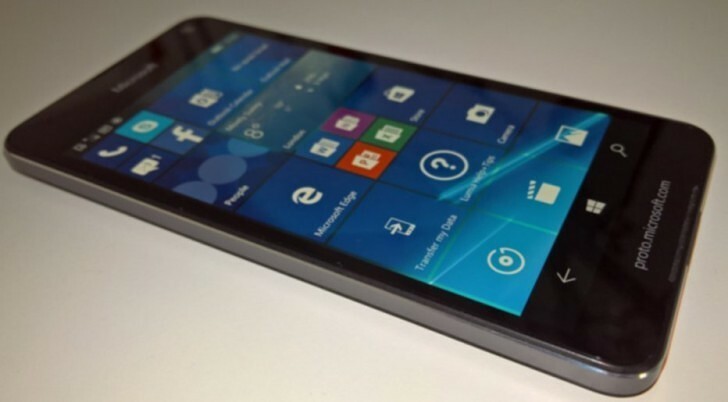 It will run Windows 10 Mobile, naturally. The handset might become official at MWC next month.